OXFORD, Miss. 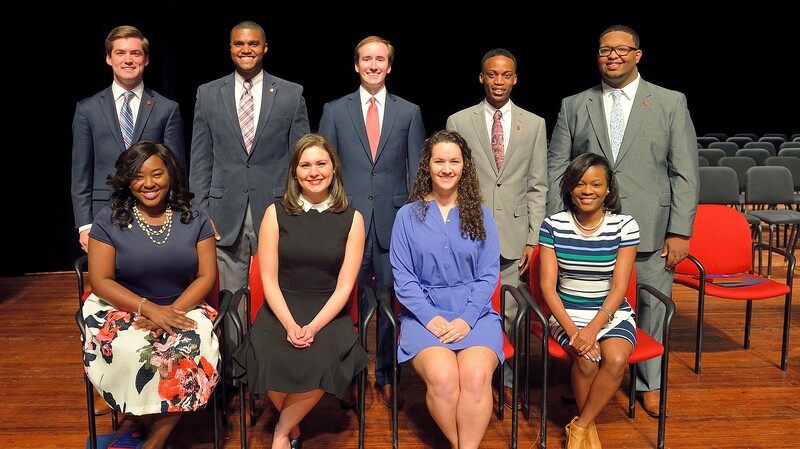 – Ten University of Mississippi seniors have earned membership in the school’s 2015-2016 Hall of Fame, one of the university’s highest honors. The Hall of Fame inductees were honored Friday (March 4) in a ceremony at the Gertrude C. Ford Center for the Performing Arts. Recipients are chosen by a committee in accordance with ASB policy, with selections based on a student’s academic achievement, community service and potential for future success. New Hall of Fame members are Brady Bramlett of Memphis, Rod Bridges of Madison, Jeremy Coleman of Jackson, Maia Cotelo of Oxford, Joe Curry of Stringer, Ann-Marie Herod of Abbeville, William Kneip of Mobile, Alabama, Justavian Tillman of Bruce, Debra Whitley of Natchez, and Elizabeth Wicks of Ocean Springs. The 10 students, along with 150 other Ole Miss seniors, were also recognized for inclusion in Who’s Who Among Students in American Universities and Colleges. They are to be listed in the national publication’s 2016 edition. 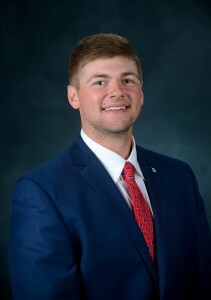 Bramlett is a biological science major, a pitcher for the Ole Miss Rebels baseball team and a tenor in the UM Concert Singers and Men’s Glee groups. 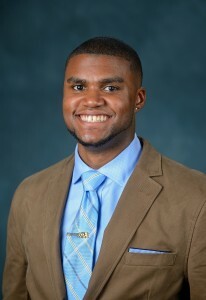 He is president of Ole Miss Student-Athlete Advisory Committee and vice chair of the NCAA Division I SAAC. He is a member of NCAA Division I Strategic Vision and Planning Committee and a council member of NCAA Minorities Opportunities and Interests Committee. 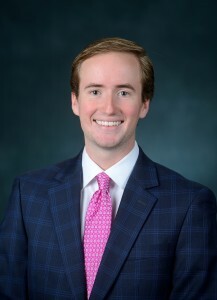 He is an SEC representative for Autonomy Five legislation and in the National Collegiate Honor Society. He also was a member of the Ole Miss Concert Singers European tour that included performances in Austria, Germany and the Czech Republic. Bramlett is a seven-time Ole Miss Scholar Athlete and a three-time SEC academic honor roll recipient. After graduation, he plans to enroll in the university’s MBA program and then pursue a career in athletics administration. His parents are Bobby and Amy Bramlett of Bartlett, Tennessee. Bridges, a public policy leadership major, is president of the Associated Student Body, a member of the Sally McDonnell Barksdale Honors College and a Trent Lott Institute scholar. He is an officer for the Kappa Alpha Order fraternity and received the UM Outstanding Student Higher Education Award for 2016. Bridges is in Phi Kappa Phi and Omicron Delta Kappa honor societies. He received the ASB Senator of the Year Award in 2014 and the UM Freshmen Leader of the Year Award in 2013. After graduation, he plans to attend Officer Candidacy School. His parents are Roddy Bridges of Madison and London and Thomas Wagner of Coos Bay, Oregon. 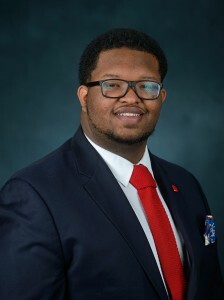 A biological science major, Coleman was chief of staff for the Black Student Union’s vice president and treasurer for the university’s Gospel Choir. 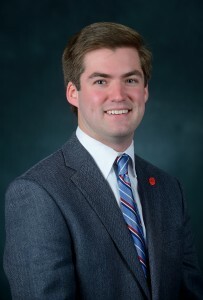 He is an Ole Miss Ambassador, a member of the Columns Society, treasurer for Men of Excellence and has been a reporter for The Daily Mississippian student newspaper. Coleman was on the committee that opened the Ole Miss Food Bank. He received the Segal AmeriCorps Education award for serving more than 300 hours of community service at the food bank and the Boys and Girls Club of North Mississippi. After graduation, he plans to attend veterinary school and wants to open a small animal clinic and, eventually, an animal rescue center to protect endangered species. His parents are LaShaundra Coleman and Boris Thomas of Jackson. Cotelo has a triple major in international studies, economics and mathematics. She is a member of the Sally McDonnell Barksdale Honors College and a Croft Institute scholar. A founding member of the RebelTHON dance marathon, she was the event’s 2016 executive director. She received the World Cup Initiative Grant and was the Portuguese Outstanding Student of the year from 2013 to 2015. She is a member of Phi Beta Kappa, Phi Kappa Phi and Omicron Delta Kappa honor societies. She is also on Mortar Board and is recipient of a Taylor Medal, the university’s highest academic award. After graduation, Cotelo plans to take a year to travel and then pursue a career in the nonprofit sector. She is the daughter of Enrique and Irene Cotelo of Oxford. Curry is an accountancy major and a Columns Society member. He was an orientation leader for two years, a University Judicial Council member and an Ole Miss Ambassador. He was president of the UM National Pan-Hellenic Council and is a member of the Alpha Phi Alpha fraternity, where he served as the Nu Upsilon chapter president and dean of new membership. Curry was a freshmen council member and mentor, and is a Student Activities Association member. He has volunteered at More than a Meal, Oxford Veteran’s Home, Boys and Girls Club of North Mississippi, UM Food Bank and Habitat of Humanity. He has participated in RebelTHON, the Big Event and the Green Grove Initiative. Curry has been on the Chancellor’s and Dean’s list. After graduation, he plans to pursue a master’s degree in taxation from the Patterson School of Accountancy. His parents are Joe Curry of Bay Springs and Shirley Curry of Stringer. A broadcast journalism and African-American studies major, Herod has received the Gannett Freedom Forum Scholarship, the Robert Williams Minority Scholarship, the Daniel Phillips Memorial Scholarship and the D. Landrum & C T Hill Scholarship. Not only is she a College Corp member under AmeriCorps, but she is also a Segal AmeriCorps Education Award recipient. She has served as vice president and president of the university’s Association for Black Journalists, and as public relations and community service director for the Black Student Union. 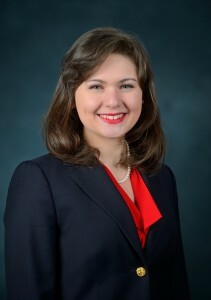 She has been a senator and co-director of inclusion for the Associated Student Body, an Ole Miss Ambassador, an Ole Miss Athletics Ambassador and a member of the Freshmen Council. 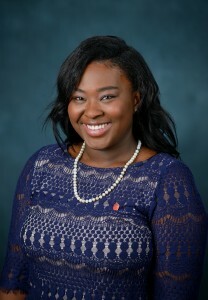 Herod is a journalist and recording secretary for the Lambda Sigma chapter of Delta Sigma Theta sorority and vice president of the National Pan-Hellenic Council. With the Wesley Foundation, she did missionary work in Honduras. She has worked with the Horizons Summer Enrichment Program as a mentor and teacher’s aide and was involved with the UM Association for Black Journalist Mentor Program with the Boys and Girls Club of North Mississippi. After graduation, Herod plans to teach with Teach for America in Baton Rouge, Louisiana. Her parents are Dr. James and Ann Herod of Abbeville. Kneip is a public policy leadership major and member of the Trent Lott Leadership Institute. 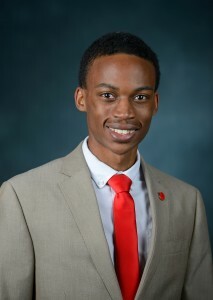 He was elected Mr. Ole Miss for the 2015-2016 school year. He is the president of Phi Delta Theta fraternity and holds the title of 2015 IFC President of the Year. He is the president of the Mississippi Columns Society and a member of Lambda Sigma and Omicron Delta Kappa honor societies. Kneip was also co-director of finance and fundraising for the Big Event. After graduation, he plans to work at the UM Foundation. His parents are Edward and Tori Kneip of Mobile, Alabama. Tillman is majoring in general studies with minors in education, English and journalism, and is on the Chancellor’s Honor Roll. He is president of the Black Student Union and the Men of Excellence, and was the university’s Gospel Choir president for 2014-2015. He is the UM Association of Black Journalist secretary, on the Associated Student Body Inclusion Committee, Vice Chancellor Advisory Council and Black History Month Planning Committee. He is also on the Office of the Dean of Students Leadership Development Committee and Insight Leadership Advisory Council. Tillman is an African-American Male Retaining, Enrolling and Graduating Ambassador, Fastrack Peer Mentor, and a student worker for the Center for Inclusion and Cross Cultural Engagement. He interned at Brown University for the Association of College and University Housing Officers – International. He has worked as a volunteer for the Big Event, More Than a Meal, Boys and Girls Club of North Mississippi and LeapFrog. He is in Sigma Alpha Lambda honor society, is a UM Opportunity Scholar and is in the National Undergraduate Fellowship Program. After graduation, he plans to obtain a master’s degree in higher education/student personnel. He is the son of Sesame Hall and grandson of Nancy Hall of Bruce. 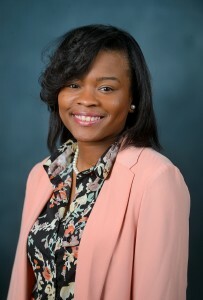 Whitley, a member of the Sally McDonnell Barksdale Honors College and Omicron Delta Kappa honor society, is majoring in integrated marketing communications. She is a member of the Black Student Union and Alpha Kappa Alpha sorority. Whitley is in the Student Alumni Council and UM Gospel Choir and was on Freshmen Council. She is a MOST mentor and has worked with More Than a Meal and Leap Frog, and is an Episcopal Kids Community volunteer. She was also an Ole Miss Women’s Council scholar. After graduation, she plans to move to Texas to pursue a career in marketing or public relations. Her parents are the late Robert Whitley and Connie Whitley of Natchez. An international studies and French major, Wicks is a member of the Sally McDonnell Barksdale Honors College, where she was a senator, and the Croft Institute, where she was a senator and vice chair for social activities. She co-founded the Honors College Student Union and was an Associated Student Body senator. She is an NSHSS Di Yerbury International Scholar, and a member of Phi Kappa Phi, Gamma Beta Phi and Phi Eta Sigma honor societies, Alpha Epsilon Delta pre-medical honor society, Alpha Lambda Delta freshman honor society and Pi Delta Phi French honor society. She served as community service chair for Omicron Delta Kappa and on Mortar Board. 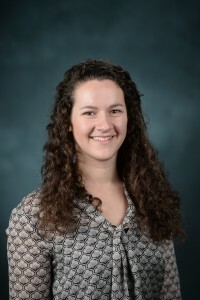 Wicks also worked with the Lazarus Project multispectral digital imaging team and was a Wake Forest Institute for Regenerative Medicine summer scholar and research intern in 2014 and 2015. She helped to organize TEDxUM and is in the Columns Society. Wicks is an Ole Miss Ambassador, Global Ambassador appropriations committee chair and a member of its rules committee. She has volunteered for numerous events and organizations in Oxford, including Boys and Girls Club of North Mississippi, Big Event, RebelTHON, Green Grove Initiative and Operation Christmas Child. After graduation, she plans to attend medical school. She is the daughter of Mr. and Mrs. Thomas Wicks of Ocean Springs.